Un sit de istorie şi artă bucureşteană - strada "Ştefan Luchian"
Subiect: The "Ştefan Luchian" street - a site of Bucharestan and art The authoresses have made researches regarding the “Ştefan Luchian" street that was planned to be demolished, before 1989. Among the buildings on this street, one can find houses erected during the first decades of our century. The oldest habitation dates from 1896, and has the initials „T. D." written on the gable. One of the most remarkable, among these houses is the one at no. 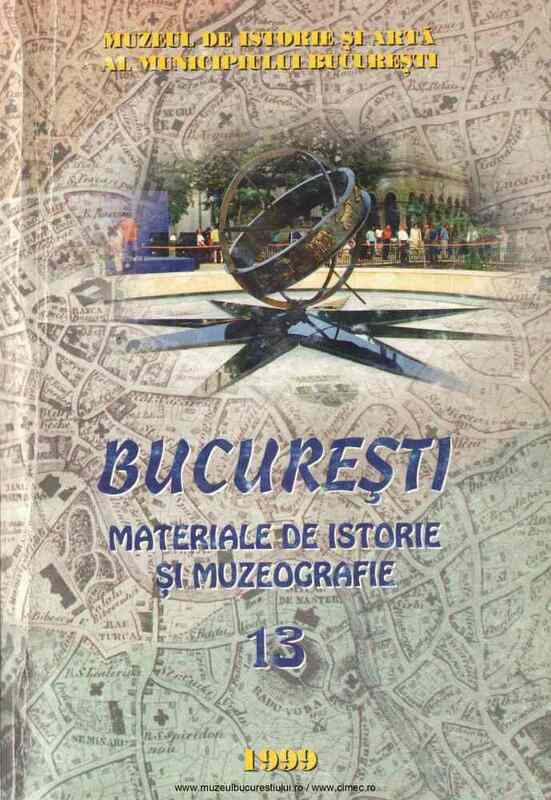 3, creation of the architect and painter Marcel Iancu. The entrance is marked by another valuable work, a relief signed by Milita Petraşcu.